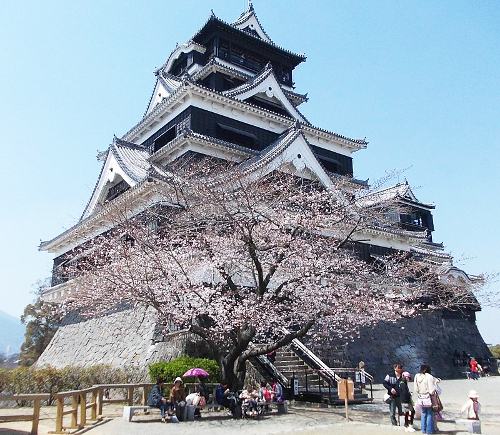 Cherry trees in bloom at the keep tower of Kumamoto Castle, near to where the Orange Railway begins. 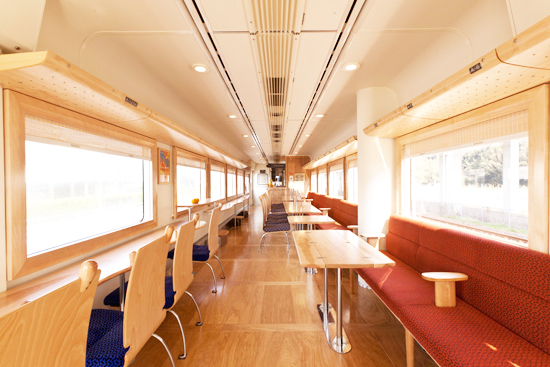 Japan’s rail system is legendary, the smooth, almost silent Shinkansens(bullet trains) that whisk you effortlessly along at 250 kilometres-per-hour or more, are testament to the importance of rail travel in Japan. 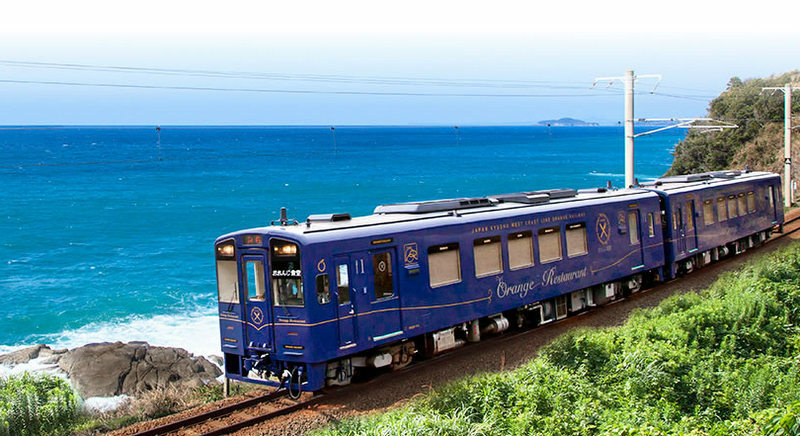 The Hisatsu Orange Railway stops at 28 stations between Yatsushiro in Kumamoto prefecture and Sendai in Kagoshima prefecture, a distance of 117 kilometres along the coastline of Kyushu. 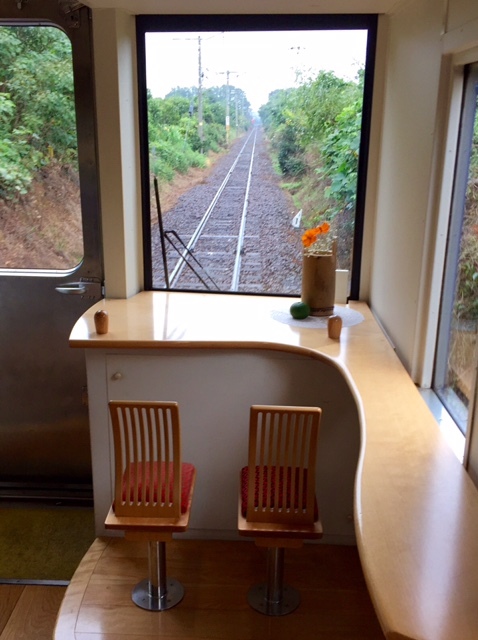 But unlike the Shinkansenthat travels straight and fast as a bullet, the Orange Railway takes a slow and winding scenic route, with many stops along the way. 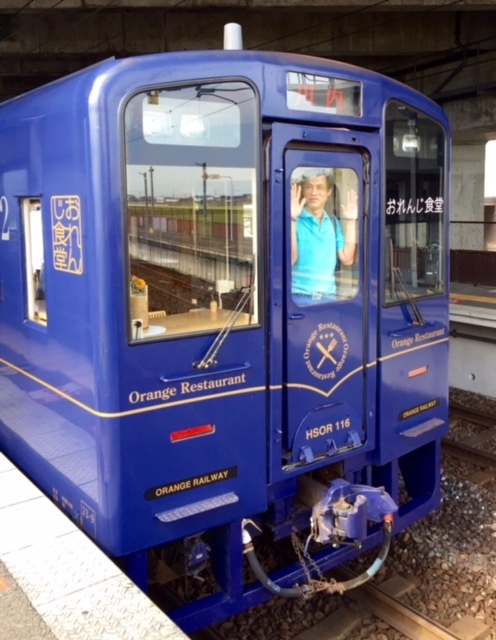 The word Hisatsuin Hisatsu Orange Railway is derived from the first kanji characters of the words Higoand Satsuma, the former names of Kumamoto and Kagoshima prefectures, respectively. Orange Railway comes from the area through which the trains run. 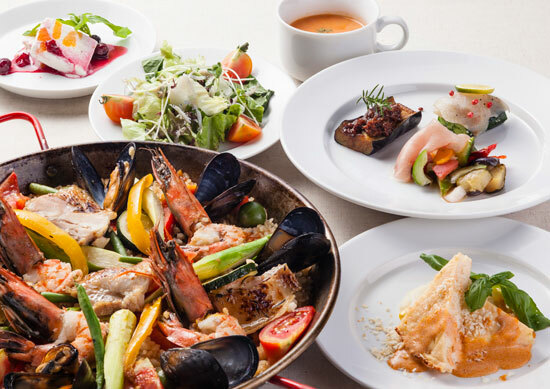 It is a region famous for producing unique varieties of citrus fruits such as Banpeiyu, Bon-Tan, Ama-Natsu, Dekopon, Satsuma Mikan, and Kumquat. The Orange Railway is a private enterprise set up in 2004. The railway’s shareholders include Kumamoto and Kagoshima prefectures (regional governments) and various towns and cities along its route. It has a very strong focus on being a local railway for the people with a real drive to develop tourism and local gastronomy. 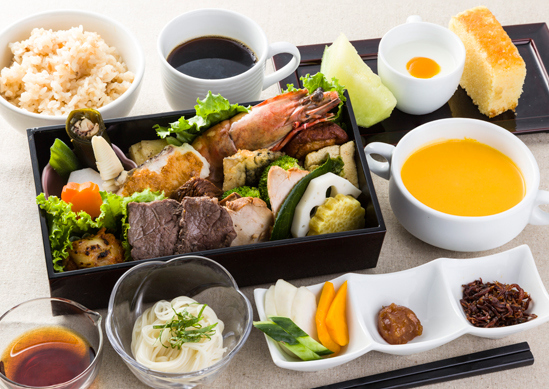 On board, with lunch in the Orange Restaurant, the journey takes approximately four delicious hours. For me this was heavenly. Lots to see and do and lots of new tastes. Even plenty of new drinks for me to try. 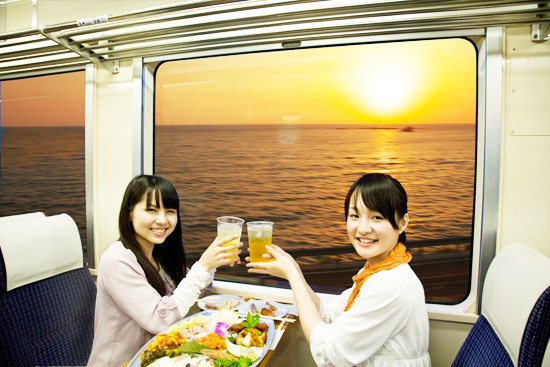 On the train ride you can enjoy the spectacular coastline that borders the East China Sea as well as take in the wonderful views as you traverse through the citrus fruit farmlands which gives the railway it’s name. We were told that during the journey we would make a number of stops at various stations and we will be presented with gifts. To receive these we needed to bring along our special gift vouchers that were beautifully presented, along with our boarding passes, at the start of our journey. The gifts in many cases turned out to be local food items, many of them being made at the stations at which we stopped. 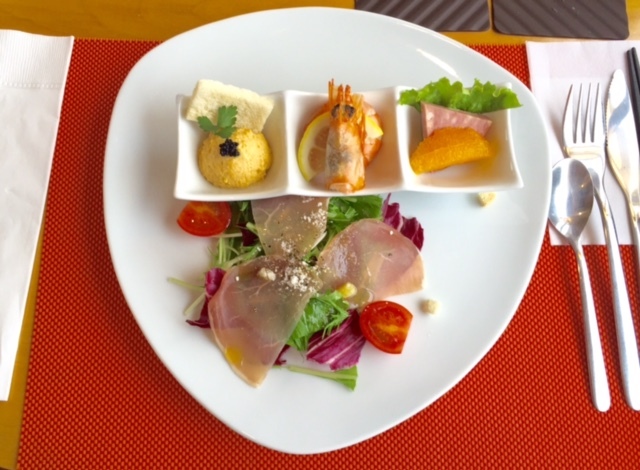 This is the beauty of a gourmet railway journey. 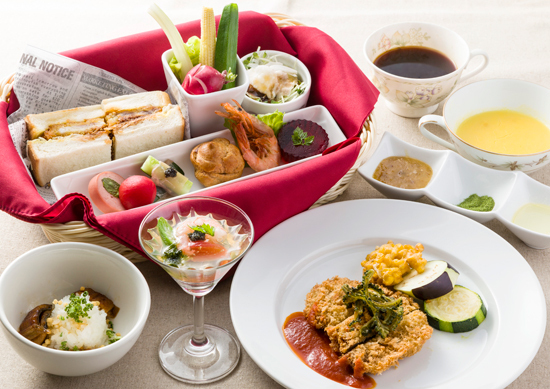 We were treated to an array of absolutely delicious items, my favourites were Hinagu chikuwas(a kind of BBQ soft fish paste made into a roll); locally brewed beers and fruit juices; curry pan (a delicious deep fried, breaded beef curry samosa), and in Minamata, Cremia soft ice cream (famous throughout Japan). As well as the treats we were also able to enjoy a very fine lunch in the Orange Restaurant, utilising produce sourced from local communities. This was a perfect example of CSR, how larger corporate businesses can make responsible choices to support smaller local industries, in a caring and sustainable way. Rail travel is not all things to all men. For me I enjoy the luxury of kicking back, relaxing and letting the journey and the day unfurl. Fortunately, this time around, with no deadline or time sensitive appointments at the other end. Unlike car and air travel, I could thoroughly enjoy the journey with very few do’s and don’ts to restrict my movement or social interaction. I could chat with my fellow passengers or not, I could walk around or not, I could take pictures or not, or just read... or not. The idea of taking a nap never really occurred to me, I was much too interested in the journey and the views outside. It was more a case of carpe diem – seize the day! The choice and space was mine and it was bigger than just a seat. It was a delightful journey and I didn’t want it to end. Andrew J. Wood is a travel writer and a regular university guest lecturer. A long time resident of Thailand, Andrew is a former hotelier and a Director of Worldwide Destinations Asia Co. Ltd., as well as the Immediate Past President of Skal International Thailand.